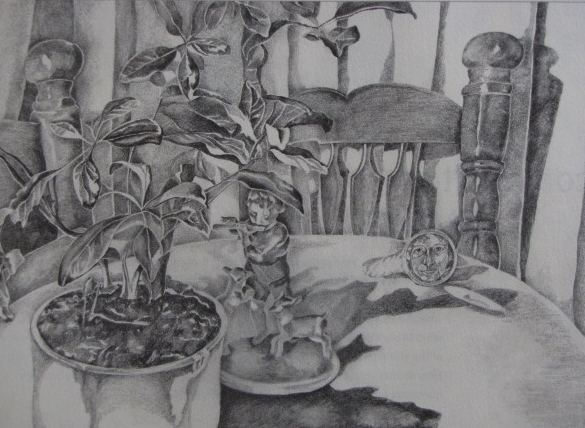 This is a still life completed in pencil and was one of the first pieces in a series based upon the subject of reflection. Here, I inserted a small mirrored image of myself. You are currently reading Still Life in Pencil at Dr. Mary McNaughton and Drawing.